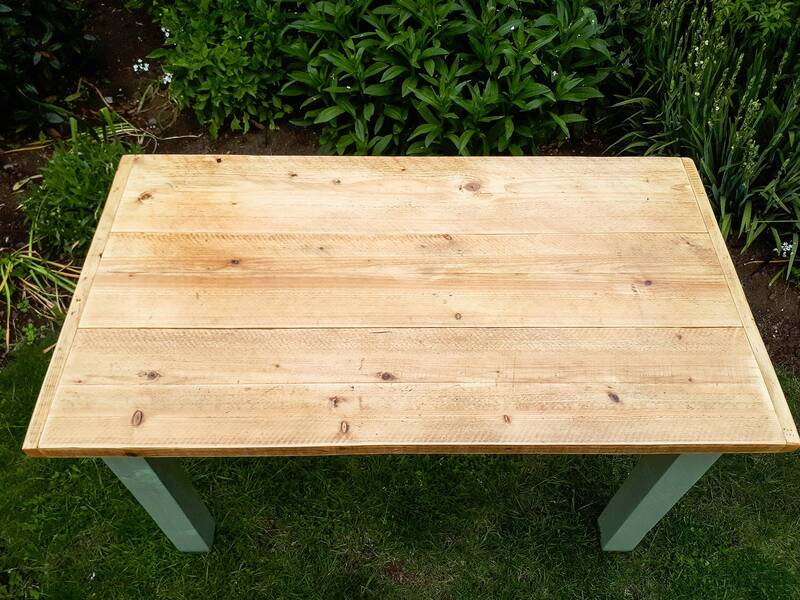 Chunky farmhouse style table constructed from reclaimed timber and scaffold boards. 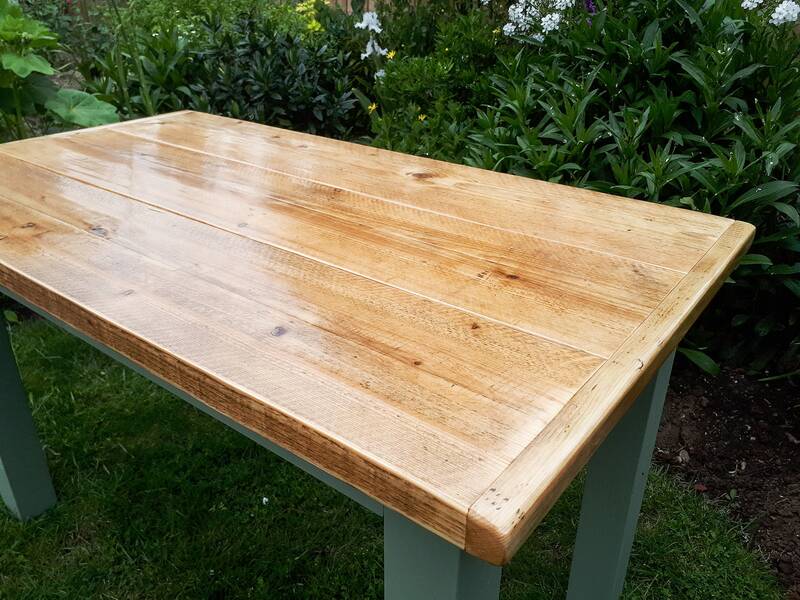 Great looking solid table meaning years of use and enjoyment in the kitchen, dinning room or outside. 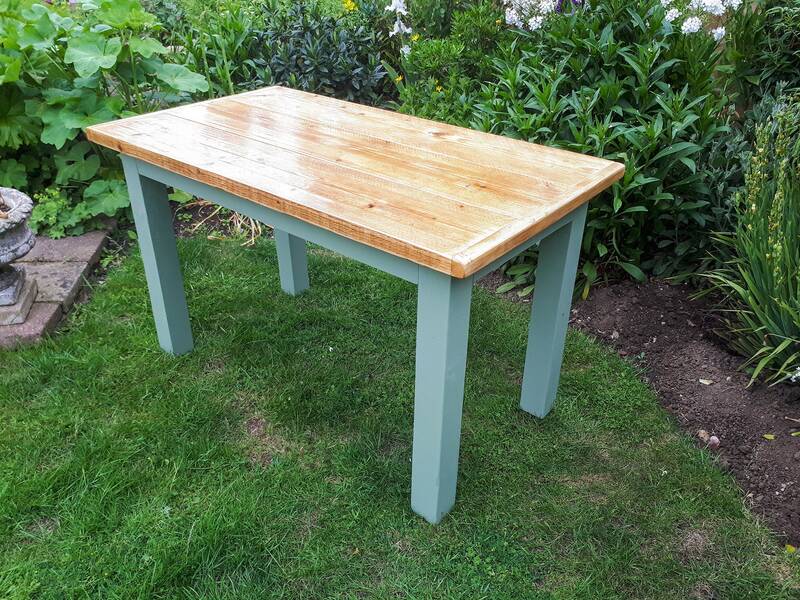 These are fitted with a breadboard style end, have painted legs and a varnished top. 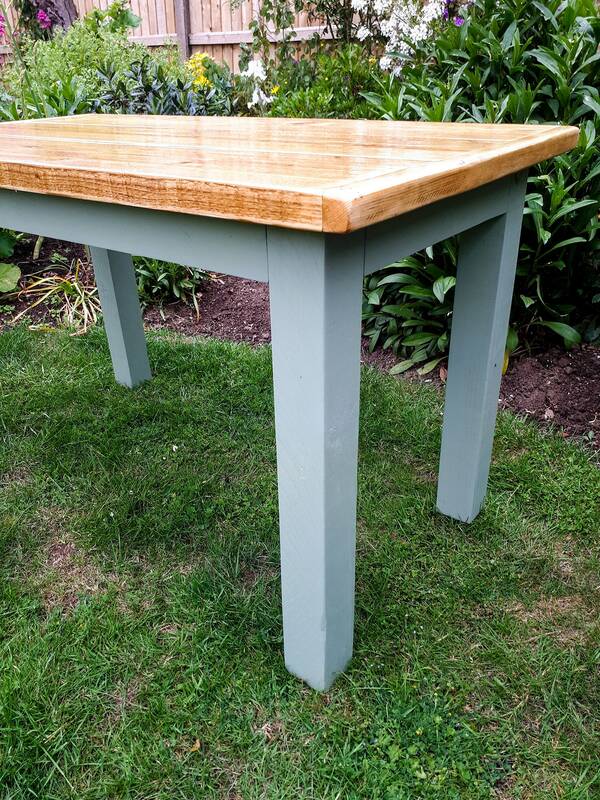 The top is finished in a clear satin varnish and the legs can be up to you. For outdoors we recommend Cuprinol Shades and for indoors we can use ant product to tie in with your decor. Please leave a note at the checkout as to what colour you would like the legs. Suitable for outdoors and in. 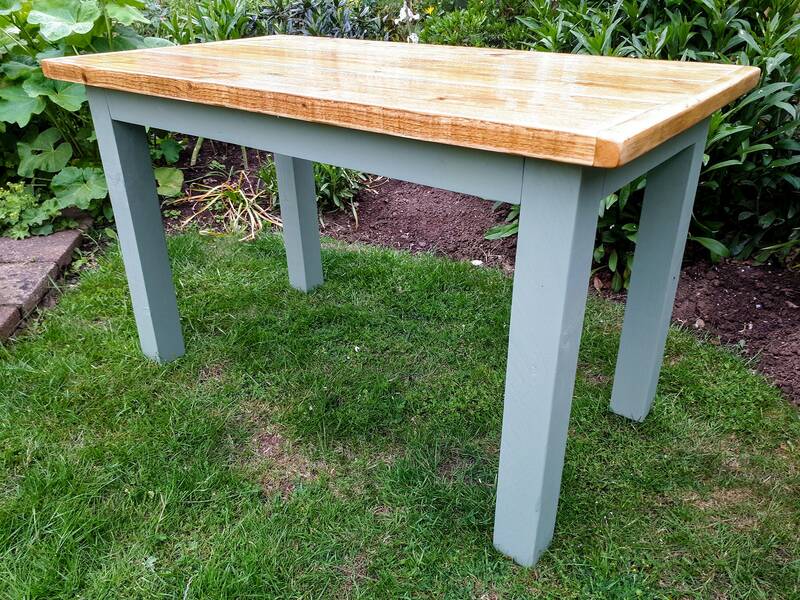 Available in standard lengths and widths but please contact us if you need something custom. Table has a height of 72cm. Legs are 75mm square and has a 75x50mm frame.